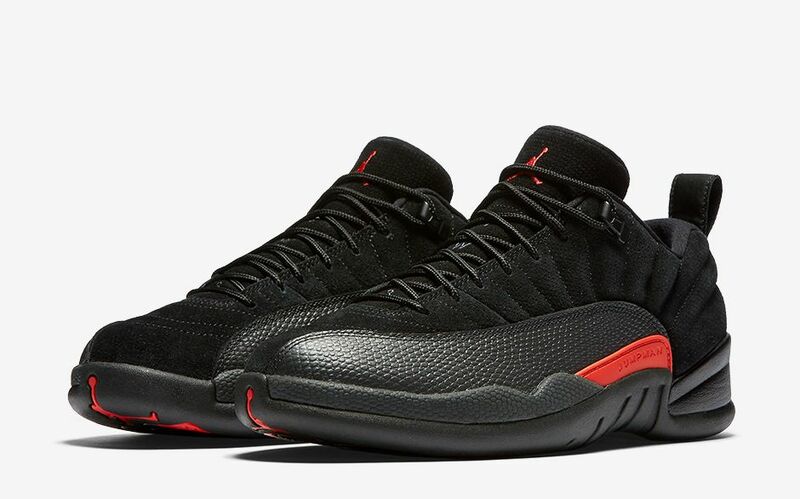 The 1996-1997 Air Jordan 12 arrived as number 23 was on his way to his fifth career title. Luxuriously crafted, the striking design would go on to release in low-cut fashion during its initial retro run in 2004. Now in 2017, the Air Jordan 12 legacy continues with a new ‘Max Orange’ take on the low-cut iteration. 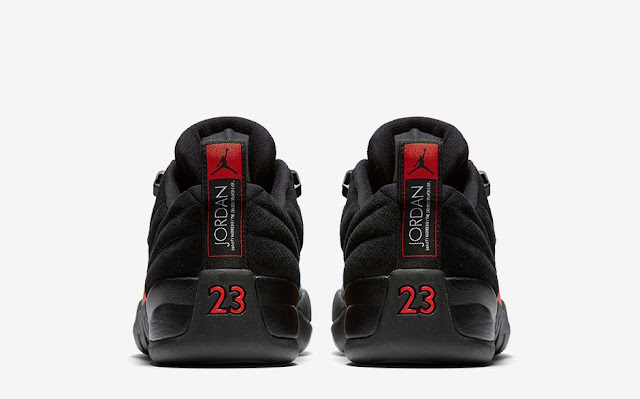 Sporting a classic palette of black and anthracite dominating its suede and leather upper, the stealthy profile is pronounced with vibrant hits of orange, which are prominent on the miniature branded side panels, Jumpman branding on the tongue and heel pull tabs. A matching full-length rubber sole unit with carbon fiber detailing on the outsole finishes off its sleek and simple design. 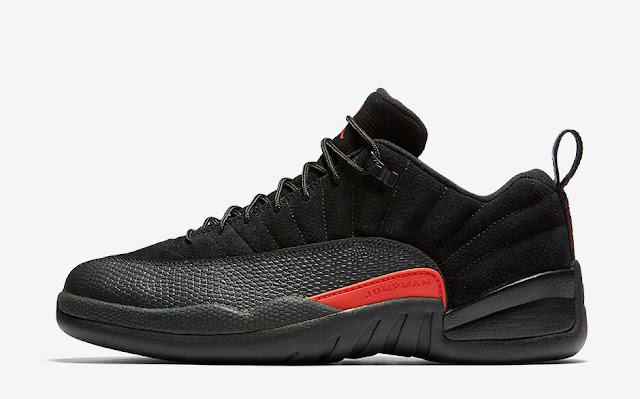 The Air Jordan 12 Low ‘Max Orange’ is available on Nike.com.